A Germantown man was arrested after exposing serious security flaws in area schools by entering schools, walking among students and stealing from teachers. Nakym John Sheffield was arrested Friday. Police accused Sheffield entering at least eight private and public schools in Prince George’s County. He would walk the hallways, sometimes with students present. Students were in the schools as Sheffield trespassed onto the property. Police say he would target unlocked classrooms. Once inside, he took credit and debit cards out of teachers’ purses, police say. 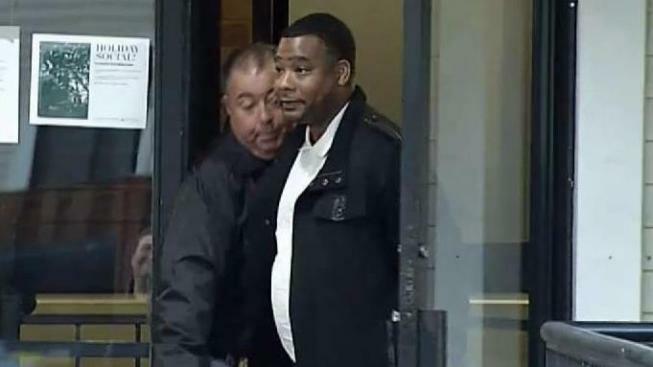 "It's an egregious act to go into schools, where you have children and educators that are teaching our children, to steal from them," Detective Charles Earle said. Tracee Wilkins reports on an unsettling case that led to an arrest Friday morning. 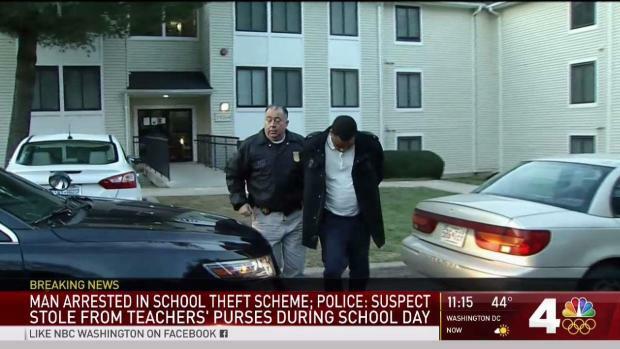 A man walked into several schools -- during the school day -- and steal from teacher's purses. Watch for more. Sheffield then took the credit cards to stores including Giant, Safeway and Target, where he charged thousands of dollars to the teacher’s accounts. Most of the teachers didn't realize the theft until their banks contacted them, Earle said. Teachers were targeted at Elizabeth Seaton High School, Bladensburg Elementary, Templeton Elementary and International High School in Bladensburg, among others. Sheffield was charged with a number of credit card theft charges in Montgomery County after a similar string of thefts. In that case, 11 women who worked at nine different schools or childcare centers had their purses or wallets taken while at work. He was arrested in July and released in September on $3,000 bond, according to police records. Prosecutors decided not to pursue seven charges against Sheffield related to credit card theft, court records indicate. He's on probation for similar charges in Charles County. He faces new charges in Montgomery County and Prince George's County. Secret Service, Prince George’s County Police, Bowie Police and Montgomery County Police all assisted the Bladensburg Police Department in the arrest. Sheffield is a published author who wrote the book "Admire My Style." On his Facebook page, he has posted pictures of himself next to expensive cars or in high-end stores, including Louis Vuitton. "We're just glad that none of the teachers approached him or none of the students approached him inside the schools. This could have turned to go violent."